Robust design with new generation easy to handle lid-locking nut. Low noise levels due to rubber paddings. IP-55 motor protection. Large capacity strainer basket. 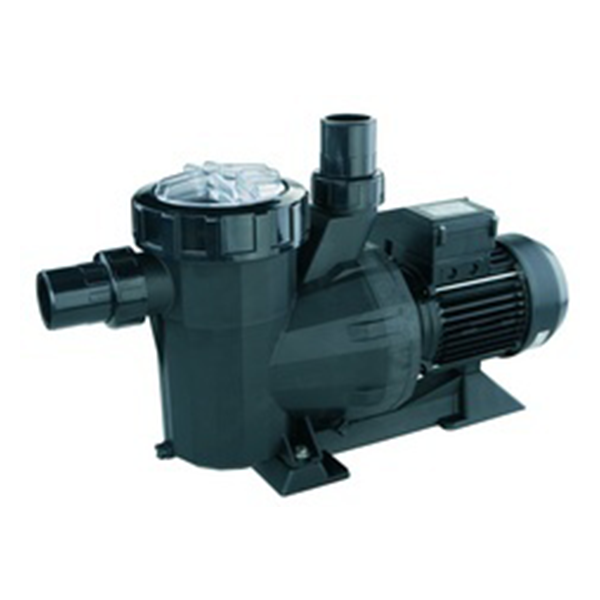 Flow rates given at 8 m head for 1/2 HP, and 10 head from 3/4 HP onwards. 3,000 rpm. The Astral Victoria Plus has come up to the fusion of Astral Victoria and Sprint pump series. All their parts have been merged between the Sprint and Victoria series. New Prefilter cover: Victoria Plus has a new prefilter cover fully compatible with the Victorias and Sprints prefilter cover. The new design of this prefilter cover unifies the image of the Columbia, the Sena and Victoria Plus series. Pump base: The pump base has been merged between the Sprint and Victoria series, focused on a motor size criterion: The pump base for frames 63 & 71, related to power rates till 1 HP, comes from the Sprint series. The pump base for frames 80 & 90, related to power rates till 3 HP,comes from the Victoria series. This merge has been introduced with the aim of providing better pump and motor support when it is required, just introducing a small base when dealing with small motor frames and a largest base for the biggest motor frames.